In 4-quart saucepan, heat oil to 325°F. 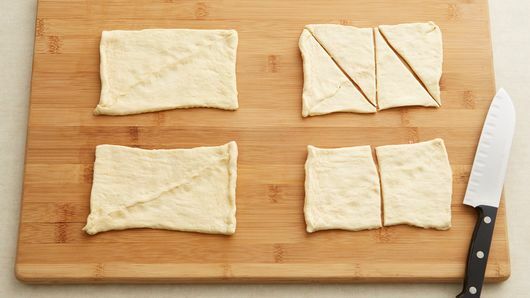 Separate crescent dough into 4 rectangles. Press seams of each rectangle together, then cut in half crosswise. Cut each square in half diagonally. Place 1 teaspoon cream cheese in center of 1 triangle. 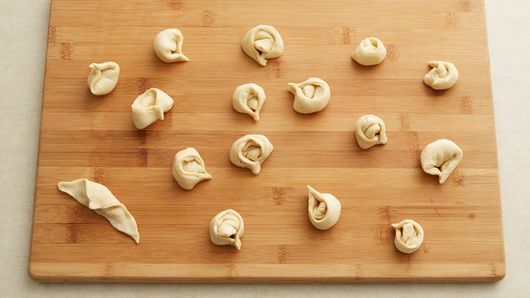 Fold dough over cheese; press to seal. Tuck top point of triangle down to long side; pinch other 2 points together. 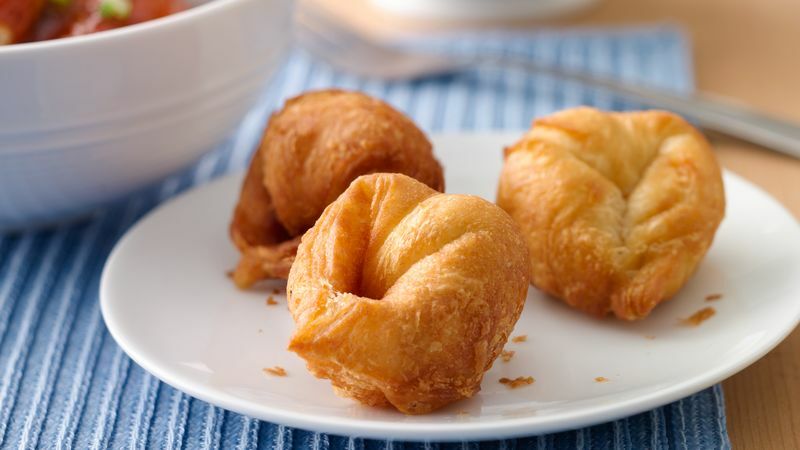 Fry dough in 2 batches, about 3 minutes per batch, turning often, until crescents are nicely browned. Drain on paper towels. Really pinch together those seams and points of the dough so that tasty cheese stays inside the dough where it belongs. 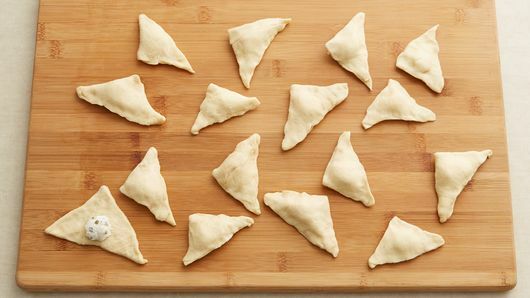 Need to assemble these before the party starts? Place several inches apart on parchment-lined cookie sheet, and cover with plastic wrap. 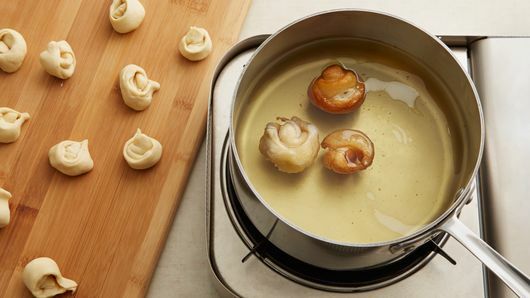 Refrigerate up to 2 hours before frying.